I have always written in journals. I still even have journals from when I was younger. As I have gotten older I still have continued to keep a journal. I have found that doing this helps to keep track of small things, important things as well as ideas and thoughts. I find that entries may be formal or informal. I am recommending a journal to assist you as a parent because I have found that you as a parent you can not only see your own parental growth, but it can help you to assess your parenting and see what areas you may need to work on and develop. Will your writing always be about parenting, probably not, but it could be if you so chose. One of the journals that I have kept is a journal for my daughters. Will I ever give it to them, maybe. I tend to be quite honest in it about the fears, concerns and truths about everything, and it would probably be quite a few years before the girls could understand and comprehend all that was in it. Never-the-less I still write in it and it is cathartic to say the least. Many parent bloggers started their own blogs as a journal or letter to their own children. I know that this was the case for me. As I started to blog I wanted to leave something that my girls could look back at and say, wow, my Dad did really love me enough to write about me (maybe this is wishful thinking). As I have met more and more bloggers, I have continued to learn and grow myself in my writing and my parenting skills. In researching this post I found the following resources that may assist you in starting a journal. 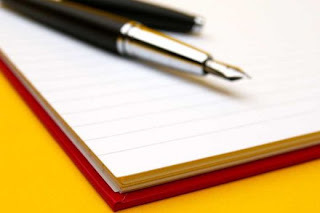 So today think about taking one week and starting a daily journal about your own prenting experiences. There is no set style that you must follow or length that is required. Simply follow through and see what you think at the end of the week. Come back here to let people know about your thoughts about how things are going after the first few days as well as the mid point and end of the process.